Going on holidays is like spending the best time with your favorite people. Sharing new experiences, exploring amazing sights and digging deeper into new destinations – holidays have always been a fun time. Your holiday idea could be anything from relaxing by a pool in a luxury resort or go on an adventurous hiking trail through the hills. Travel with your family, with your partner as a couple, go on a vacation with your best friends or simply explore new destinations going on a solo travel. There are as many holiday ideas as there are unique travel destinations, you just need to pick your suitable type. However, holiday ideas transform over time and staying updated as an avid traveler is important. Here are some effective holiday ideas in 2019 that you can adapt for a perfect staycation. We would like to start with the most complex holiday idea to execute – family holiday. Deciding for a place that is suited for your whole family is no less than a challenge. To plan a family holiday in India, you can find several places with the sun, sea and grand excitement. You can plan an exciting holiday with your family to the North Indian region like the beautiful Auli and Rishikesh, go on a tour to the cities of Rajasthan such as Jodhpur, Udaipur and Jaipur or spend quality time in the white desert of Rann of Kutch in Gujarat. Family holidays have always been and will always be the best way to plan a relaxing getaway with your loved ones. Embrace these family holiday ideas in 2019 and experience a comfortable, exciting and memorable vacation. What could be more fun than going on a holiday with your best friends? Be it your girl gang or the fun-loving and adventurous group of friends, group holidays are indeed great fun. There are some stunning travel destinations you can explore with our travel group such as the hilly mountains of the North East India or a trekking trip to South India. Goa is another amazing place to go with friends in India. Party hard, surf on the beaches and be a part of some terrific Goan Festivals in the upcoming year. Want to travel abroad in January? Why not visit India from USA or any other part of the world? You still have time to book last minute flights at reasonable costs. Hurry! How about exploring the peaks of Manali and Shimla with your best buddies in February? Pleasant snowy weather, great stuff and the best part is to have the company of your favorite people. Plan the best group holidays with your friends or travel group and invade some hottest (not literally!) travel destinations in 2019. Getting married in December and planning your honeymoon the following month? If so, you have a variety of options to choose the best place for your first travel experience with your partner. 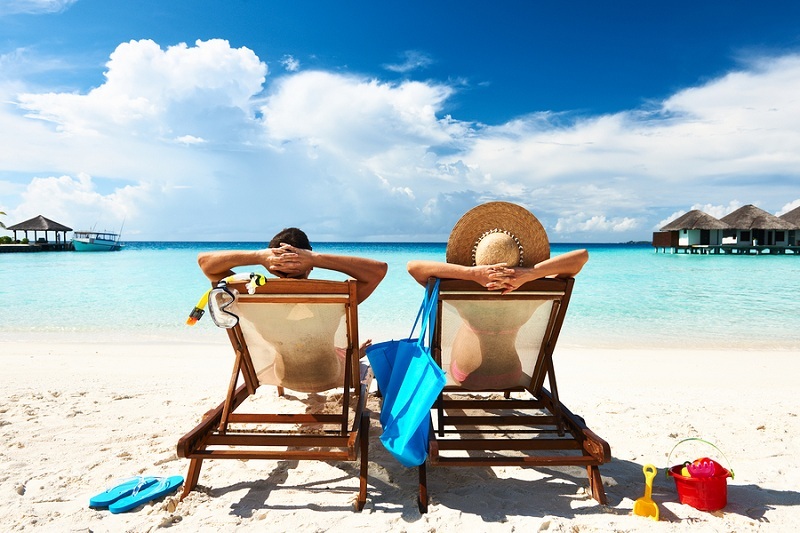 In 2019, couple holiday destinations are something to be focused greatly by travel agencies and luxury resorts all around the globe. If you want to go on a couple’s trip in India, the backwaters of Kerala, romantic lakes and palaces of Udaipur, the chilling winds and lakes of Kashmir and the peaceful beaches of Goa are some of the best holiday destinations in 2019. Talking about couple holidays doesn’t refer only to the young and newly married couples but to a couple in general, regardless of their age. After all, you need not have to be in your 20s or 30s to enjoy quality time with your beloved. It’s your time and its perfect at what age you travel along, being together is all that matters. And to grow your love and have a break from the daily individual chores, going on a romantic couple holiday can be a great idea to rejuvenate your relationship. Get some good food, sip in a glass of your favorite wine and get involved in deep conversations amid a spellbinding surrounding. Traveling itself is the best feeling you will experience in your life, no matter you are with your family, friends. life partner or just to your self – SOLO. Solo traveling is a unique and enthralling experience in itself and one should at least observe this once in their lifetime. Have never been on a solo trip? Probably, 2019 is the year to explore the world on your own. There are some of the most terrific places on the list of travel destinations 2019 that you will have an exceptional time all to yourself and the beauty of nature. So, you have booked business class flights for an important conference in Delhi but have a weekend at leisure. Explore nature in the Himalayas, travel Kasol. If India is the place you want to discover through traveling alone, you have made a great choice. The splendid country has some of the most visited solo travel destinations like Kasol in Himachal Pradesh, Araku Valley in Andhra Pradesh, Goa and many more on the list.